Recipes pretty much don't get easier than this. Or more delicious. Heat oil in a wok or saucepan over medium heat. Add onion and sauté for a few minutes, until onions start to become translucent. Add peas, kale, and Bragg's and stir. 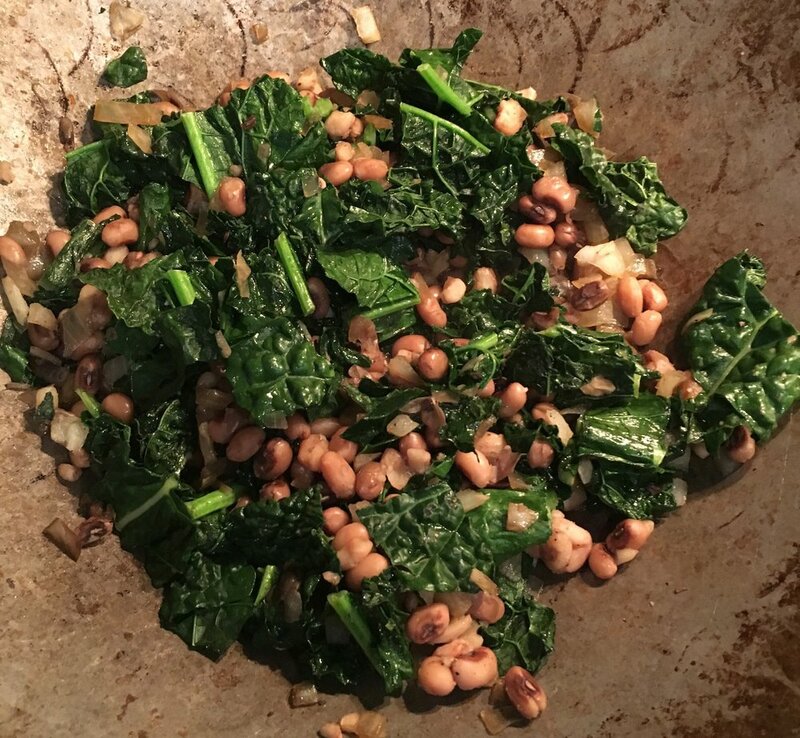 Put a lid on the wok/pan and cook until the kale is nicely steamed (we like it a touch on the crunchy side). Add pepper to taste, and more Bragg's if you like. Serve over brown rice or a pasta. Tasty as is, but we often sprinkle on nooch (nutritional yeast) and a little hot sauce.